The open-concept design is highly sought after in today’s marketplace because it makes homes with small spaces seem larger and large homes seem impressive. Because there are few, if any, defined boundaries in the home, the kitchen’s style must blend with the style of the rest of the home. When designed correctly, these kitchens are utterly amazing. 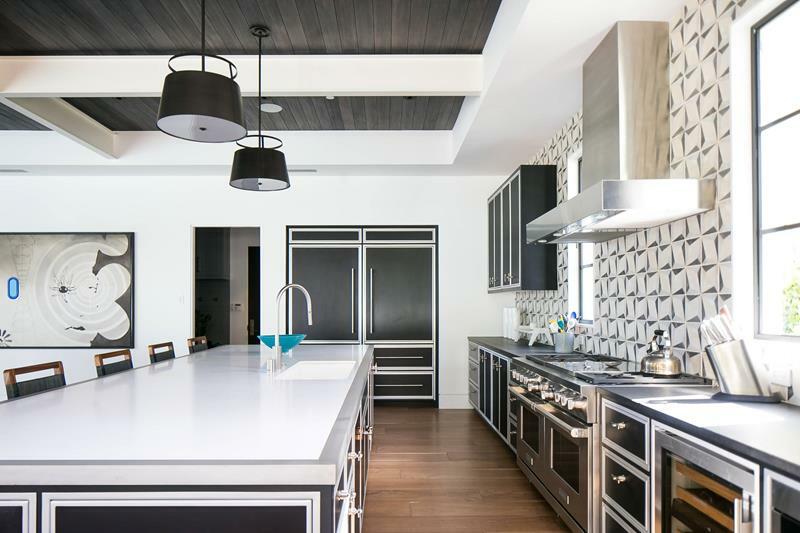 A key design element for the open concept kitchen is using smaller elements to tie into the overall home design. Items such as backsplash provide great accents while other subtle elements such as cabinet handles blend the unique needs of the kitchen with the rest of the home. The kitchen island or peninsula provides opportunity to match color shades with other items in the house, for example the colors of the furniture in the living room should match those of the island. 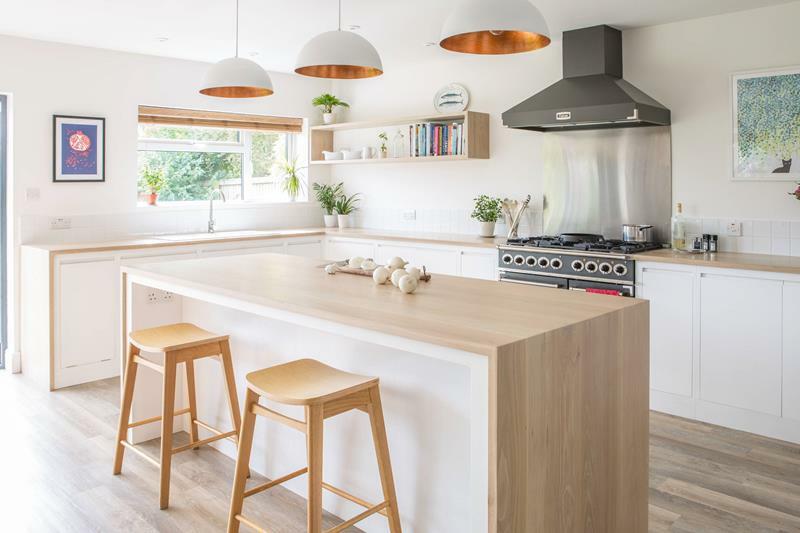 The 20 photos we have listed below provide excellent inspiration for your kitchen design and we’re confident you will use these design elements to create a great kitchen. 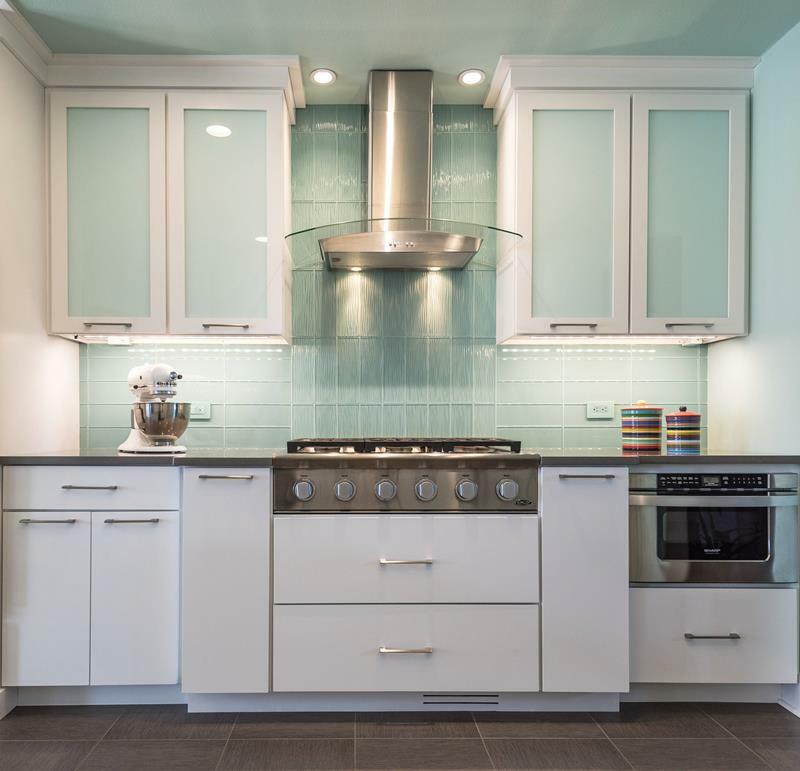 This white kitchen with sea-foam backsplash and cabinets is oh-so-soothing. The silver range hood with glass is simply divine. 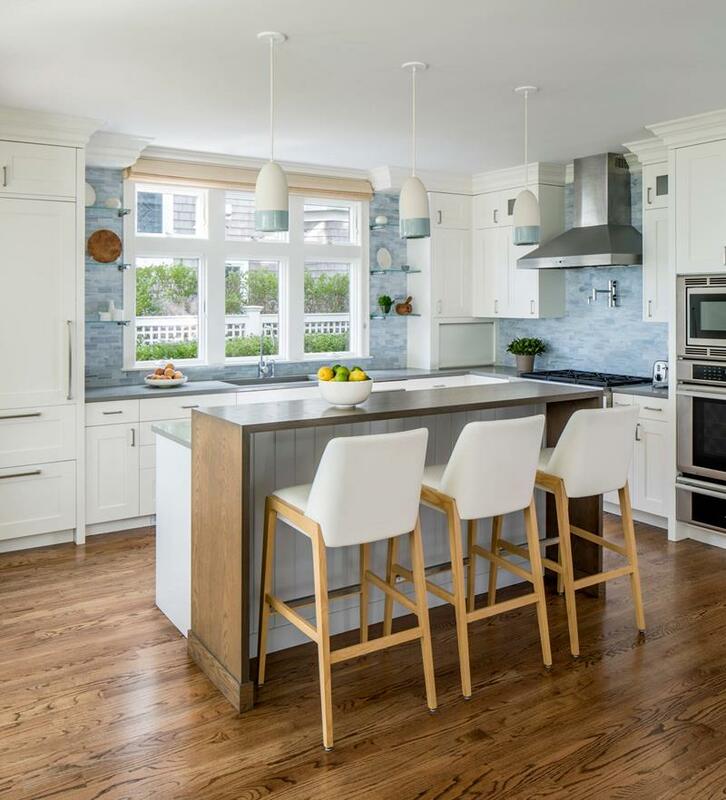 The blue backsplash and trim on the pendant lights is such a perfect complement to this kitchen. The wood floor and island are a perfect match. Don’t you love the blue lamps and stools in this kitchen? The beautiful floor and island are the perfect focal points. Wow, this large kitchen really has it all. Black and white perfection in the design, lots of storage and space to spread out. 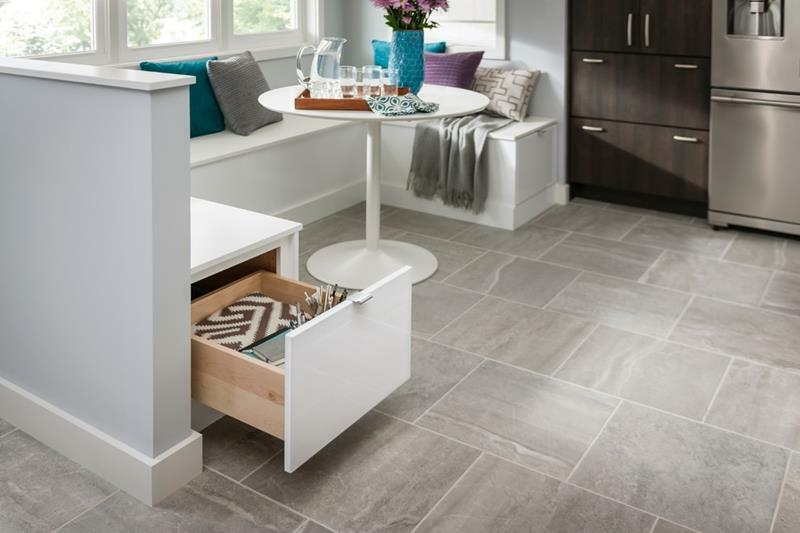 The hidden storage in this built in seating is so handy in a small space. The accent pillows brighten the space for extra flair.